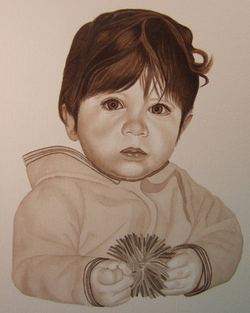 Tracey Costescu is a self-taught artist working in graphite pencil, watercolor, acrylic and oil. She exhibits locally throughout the year and her artwork is held in private collections throughout North America & Europe. She teaches students in graphite pencil, watercolor and acrylic. 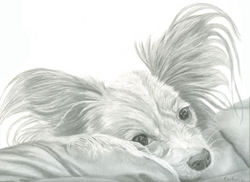 This is an example of a past graphite pencil commissions. Tracey offers workshops and lessons teaching the techniques for realistic drawing in pencil. 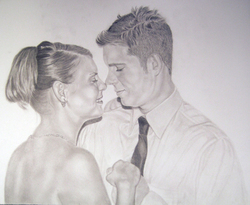 Sample of original artwork. Acrylic abstract painting. Please visit my website for more of my original artwork.